MCMA treasurer Noel Martin presents MCMA Country For Cancer proceeds to Laurie Wittinger of the Canadian Cancer Society. With the help of our sponsors, volunteers, The Ranch Saloon and all the evenings performers we raised $5,063.64 towards the Canadian Cancer Society’s fight against cancer in Manitoba. 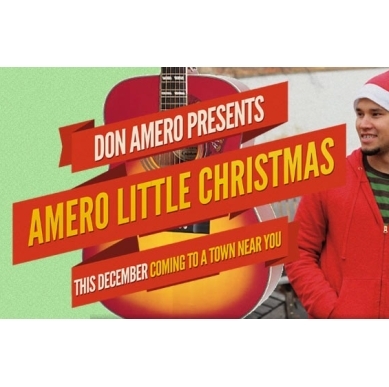 Don Amero and Red Moon Road will be combining their musical super powers to bring in the Christmas season with some sweet harmonies and a bunch of your favourite Christmas songs. Since the beginning of November 2012 Manitoba singer/songwriter Rachel Ashley has been speaking and performing at several schools across Manitoba with her "No Time for That" anti-bullying tour. Rachel shares her stories, experiences, and music to help and inspire. Mr. Bergquist arranged to have a special memorial ceremony held at the Ft. Garry Hotel on October 29th, a hundred yards from the exact place where Bob as a little boy left Winnipeg for the last time. 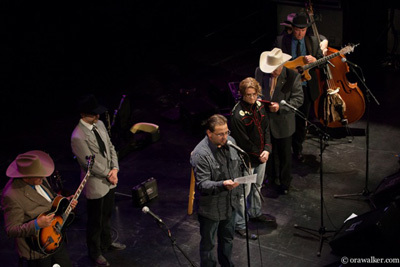 The participants in this private ceremony gave freely of their time out of respect for the legendary Bob Nolan. Everyone, including the Fort Garry Hotel, donated their time and services for the memorial. Everything was carefully, lovingly planned and carried out. 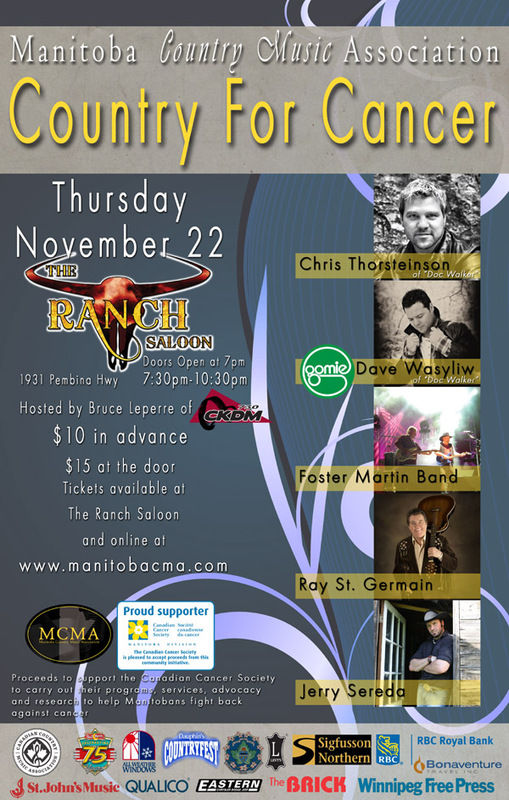 On November 22, 2012 the Manitoba Country Music Association and the Ranch Saloon present "Country for Cancer" an evening of Country Music. The MCMA is proud to present Chris Thorsteinson of Doc Walker, Gomie featuring David Wasyliw of Doc Walker, Foster Martin Band, Ray St. Germain, and Jerry Sereda. 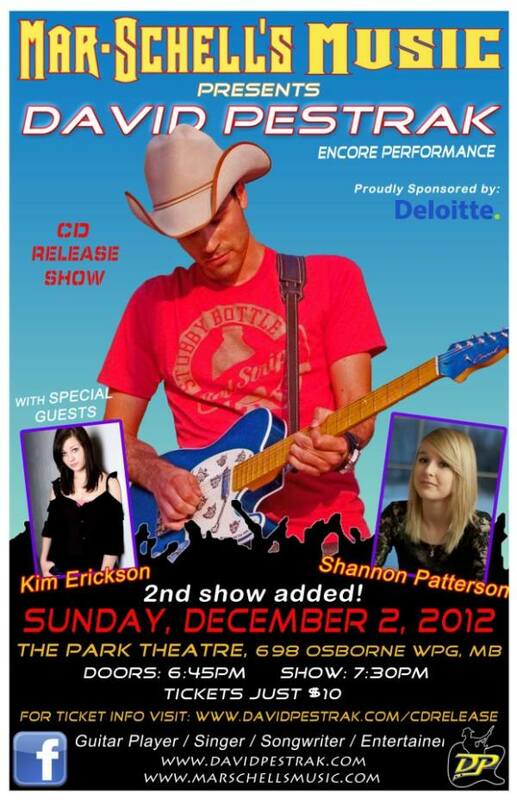 Proceeds to support the Canadian Cancer Society to carry out their programs, services, advocacy and research to help Manitobans fight back against cancer. Purchase your tickets through PayPal. Present your email confirmation for entry at the door. 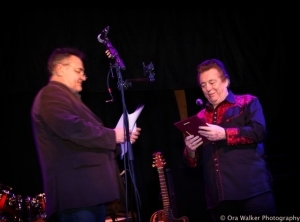 The MCMA is proud to announce Bob Nolan as the first inductee into the Manitoba Country Music Hall of Fame. 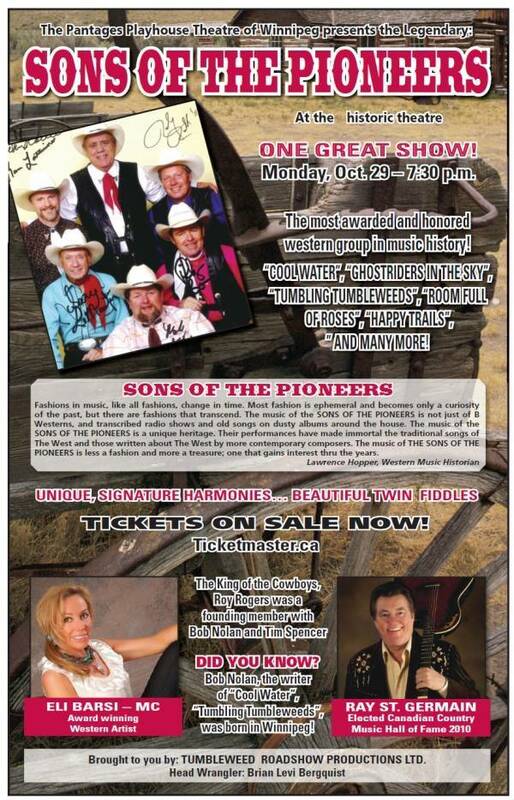 The award is to be presented to the Sons of the Pioneers at their October 29, 2012 Winnipeg show. Bob Nolan was born Clarence Robert Nobles in Winnipeg, Manitoba, in 1908. When the family broke up in 1915, his father changed his surname from “Nobles” to “Nolan” and disappeared into the United States leaving Bob and his little brother with their mother. Unable to care for them adequately on her Manitoba Government Telephones salary, their mother was forced to leave her boys with their grandparents in New Brunswick. During those 3 years on the homestead, believing his mother had also deserted him, Bob became an aloof and lonely little boy. He spent every moment he could at the seaside and in the forests, already preferring Nature to human companionship. Bob’s father settled in Tucson and sent for him in 1921. The change from green New Brunswick to the desert stunned the lad. Gradually awakening to its strange beauty, Bob Nolan grew to love the desert and it completed the work his Canadian wildwood had begun in his heart. He was impelled to put it all into words. In Tucson High, Bob wrote his famous Cool Water. He married shortly after graduation but the Depression made it impossible to support his wife and baby. The marriage failed when Bob moved to California to look for work. Sadly, his bitter young wife refused to let him see their daughter for 15 years. 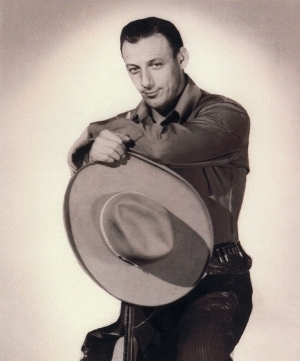 In 1932 Bob joined Leonard Slye (Roy Rogers) and Tim Spencer to form The Pioneer Trio. The Farr Brothers joined in 1934-35 and the name was changed to the Sons of the Pioneers. Thanks to Bob’s original compositions, Roy’s enthusiasm, Tim’s business acumen - plus unending practice - they were an immediate hit on live radio. Bob, tallest and best looking, became leader. His songs of the West were unique, quite different from the simpler Cowboy ballads. Bob painted song pictures of the desert, the forest, the land itself. His verses were lyrical poetry, his melodies often complex and beautiful. This new Western (not Country) music caught the imagination of the public. Other groups copied the Sons of the Pioneers’ style but never managed their distinctive harmony. The group was featured in over 90 movies. Bob acted and wrote songs for them all. Always a private person, this constant need of new songs made him appear even more of a loner. He wrote over a thousand, most of which were destroyed in a garage fire. Tumbling Tumbleweeds, musical hallmark of the Pioneers, made the publishing company rich while Bob realized very little from his song. Bob married again and the touring, acting, and personal appearances stopped abruptly in 1949 when Bob cried, “Enough!” This loner, who had been forced by circumstance to become a very public person, craved solitude and so he retired. Bob recorded with the Sons of the Pioneers until 1957 but otherwise disappeared from view for 30 years. He did continue to write songs and he recorded one final album in 1978, The Sound of a Pioneer. He died suddenly in 1980 and his ashes were scattered on his desert. He is survived by one grandson, three great grandchildren and the Sons of the Pioneers – still going strong in 2012. MCMA's Miles Trach and Chris Ising presenting The Sons of the Pioneers with Bob Nolan's Hall of Fame Award. Emails will be accepted until 11:00pm Sunday October 14th, 2012. The draw will take place Monday October 15th, 2012 at 12:00 pm. The winning name will be contacted via email Monday October 15th, 2012 and posted to the MCMA website. You must be valid MCMA member, and a resident of Manitoba to qualify.